Formula 1 bosses Bernie Ecclestone and Jean Todt are pushing a plan that could kill the turbo hybrid engines introduced last year. Ecclestone and Todt are working towards a cheap customer turbo engine under an 'equivalence formula' in 2017. The road-car manufacturers in F1 want to stick with the turbo hybrids and have rejected plans to introduce a cost cap on the engines for customers. The risk is the rules would be adjusted to make their units uncompetitive. Ecclestone, F1's commercial supremo, has long been an opponent of the complex turbo hybrid engines, which the manufacturers wanted introduced because they mirror development in the road-car field. 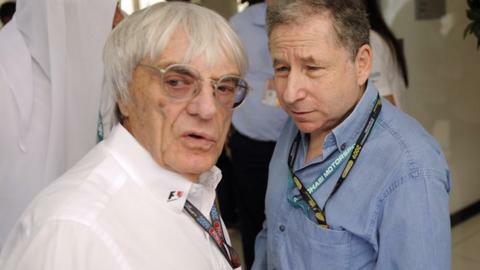 Todt, the president of governing body the FIA, was instrumental in introducing the engines but is now working with Ecclestone on the alternative plan. Todt and Ecclestone will present the plan publicly as an attempt to provide cheap customer engines to teams - the plan is to price the engines at six million euros for a year's supply. This is about a third of the price of the cheapest turbo hybrid customer deal. They are poised to begin a tender process to find a company to supply the engines. The engine architecture - a 2.2-litre V6 twin turbo - is the same as that used in IndyCar racing in the the US, where one of the suppliers is the British company Ilmor, which used to be involved in F1. It is likely a basic energy recovery system would be fitted to the engines for F1. But insiders say Ecclestone and Todt are planning to tweak the equivalence formula to ensure that the cheaper engines are more powerful than the more advanced turbo hybrids, which are governed by two separate fuel restrictions - on total allowance and fuel flow. The cars with cheaper engines would be at a significant weight disadvantage at the start of races due to the amount of fuel on board, but this could be compensated for by increasing the power of the engines. Or perhaps by reintroducing refuelling - a move that has been suggested by Ecclestone. The move would put manufacturers in an impossible position - they could continue to run the engines they currently use but risk being unable to win races. And it comes as Mercedes have refused to supply Red Bull with engines next year, while Ferrari have offered only a supply of 2015 engines to the former world champions, whose boss, Dietrich Mateschitz, is close to Ecclestone. It is conceivable that Ecclestone and Todt would back down if the manufacturers agreed to supply engines to teams at a more affordable price and were less restrictive in terms of who they chose to supply them to. The plan is said by sources to be the brainchild of former FIA president Max Mosley, a long-time associate of Ecclestone. Mosley and Ecclestone conducted a joint interview with a German television station last week in which Mosley said the need for an independent engine supplier was "acute". Mosley has long championed ideas in which teams prepared to operate according to less expensive rules would be given technical advantages over those who preferred to stick with the existing rules and spend what they liked. Mosley said in the interview: "You could give the small teams greater technical freedom in return for operating within a budget. 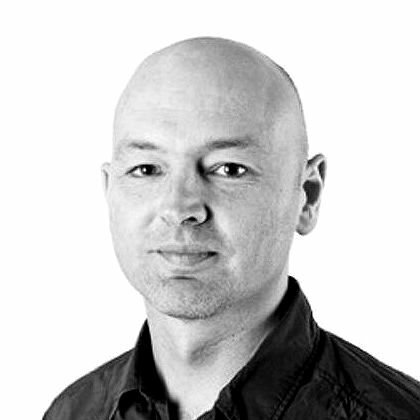 "Then teams could come in and be competitive. The big teams would complain, and we would say if you want to operate for the same budget you could have the same freedoms. It would be difficult to convince them but in the structure of F1 they could be outvoted."